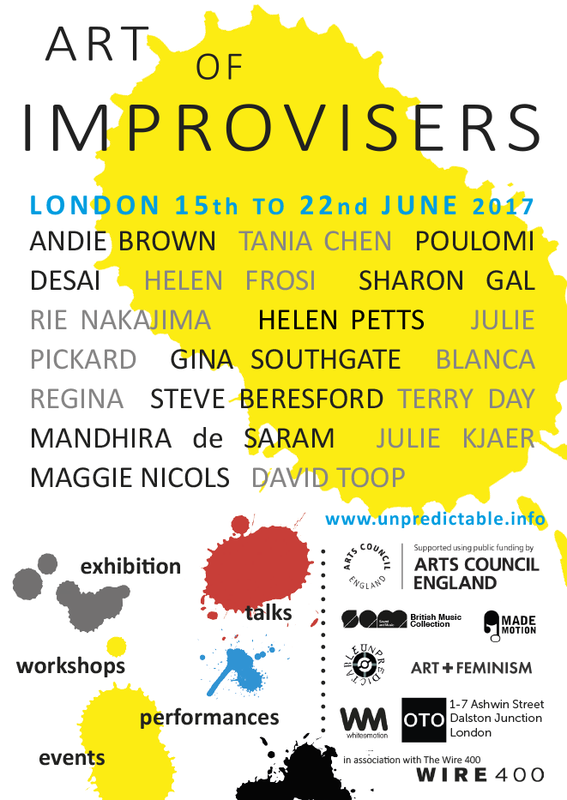 Art of Improvisers Extended (15th to 22nd June 2017) is a festival – an exhibition and series of events – focussing on the importance of women in free improvisation and the visual arts. The venues are Café Oto and the nearby Oto Projects Space, in Dalston, East London. This show draws on a number of female artists who are part of the newer generation of free improvisers and also artists in other media. Visual work in Oto Projects, round the corner from in Café Oto, will be exhibited by Andie Brown, Tania Chen, Poulomi Desai, Helen Frosi, Sharon Gal, Rie Nakajima, Julie Pickard, Gina Southgate, Helen Petts, and Blanca Regina. The festival includes workshops with Maggie Nicols, Sharon Gal, a sound walk with Helen Frosi, an Art+Feminism event and a talk with participant artists. There’ll also be evening performances in Café Oto on June 15 and 16. 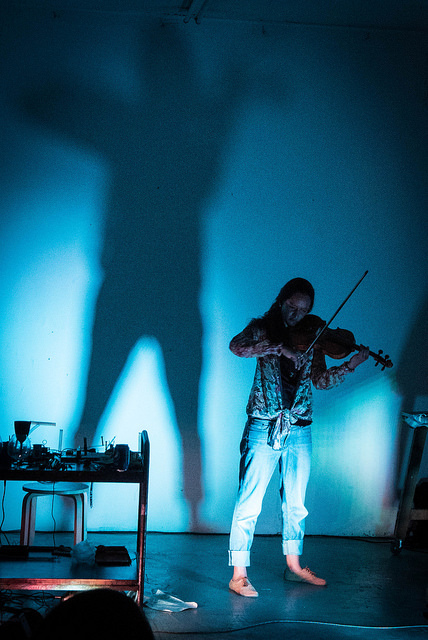 Performers include the exhibiting artists plus Terry Day, Mandhira de Saram, Julie Kjaer, Maggie Nicols, David Toop and Steve Beresford.Art of Improvisers, Compilation CD of these artists will be released and available at the Festival. 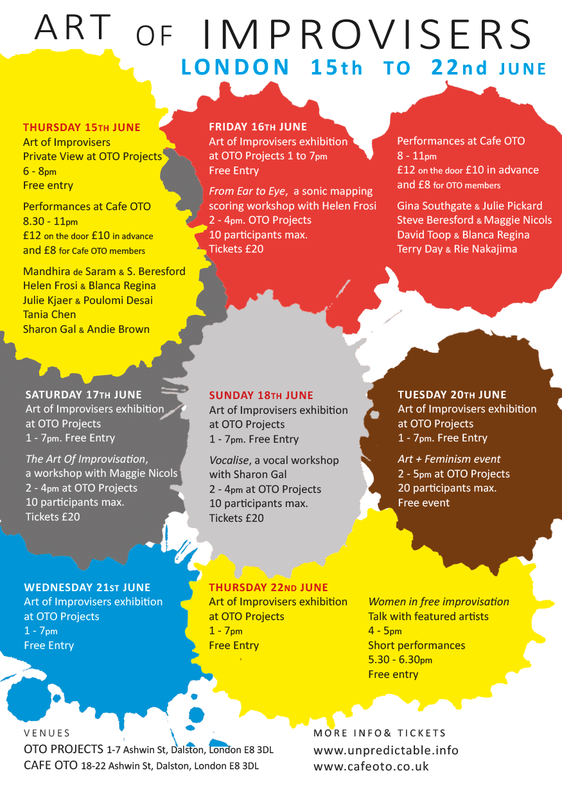 Drawing on an extensive body of previously unseen artwork, Art of Improvisers in London from June 15 to 22, 2017 will look at the history and the current state of women in free improvisation and also free improvisation’s strong, but rarely noted, connections to the visual arts. Curated by Blanca Regina and Steve Beresford whose projects engage artists and audiences in new ways of making and understanding music and art. Art of Improvisers Private View at Oto Projects 6 to 8pm. Free entry. Performances at Cafe Oto. 8.30pm to 11pm. TICKETS £10 on the door £12 in advance and £8 for Cafe OTO members. Performances at Cafe OTO 8pm to 11pm. TICKETS £10 on the door £12 in advance and £8 for OTO members. Born and based in London, Andie began playing bass-guitar and from her mid-teens onwards worked with a number of bands, including Cindytalk in the early 1990s. Whilst the bass remains her first love, Andie has been performing and recording as a solo-artist since 2007, under the name These Feathers Have Plumes, primarily working with glass and electronics. Andie performs regularly and has played in both the UK and Europe, including at Full of Noises Festival in Cumbria, the De La Warr Pavilion and Cafe OTO. Elsewhere, Andie performs and records as Mami Wata with artist Sharon Gal. Additionally, Andie has collaborated live with a diverse range of artists, including Sophie Cooper & Joincey in Remedial Queen of England, Part Wild Horses Mane on Both Sides, Phil Julian, Piotr Kurek, Adam Bohman and in a percussion and glass ensemble, conducted by Steve Beresford for Christian Marclay at White Cube Gallery. 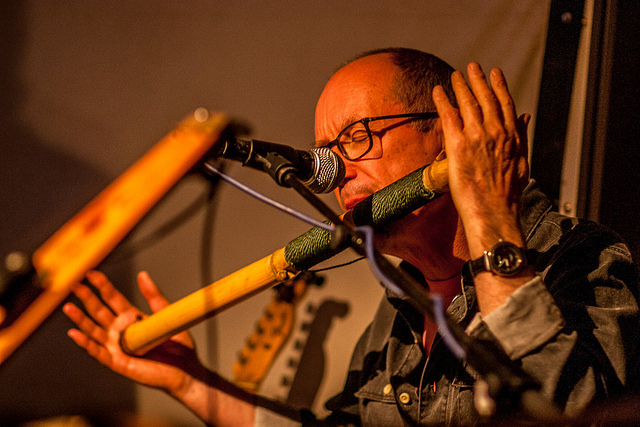 David Toop is a musician, author, professor and Chair of Audio Culture and Improvisation at London College of Communication. He has published five books including Ocean of Sound, Rap Attack and Sinister Resonance. 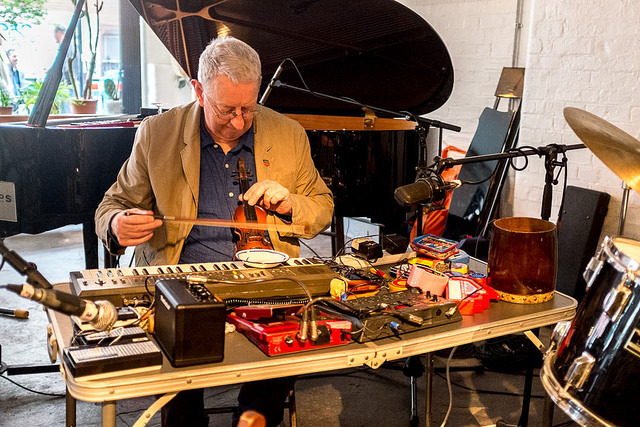 His first album, New and Rediscovered Musical Instruments, was released on Brian Eno’s Obscure label in 1975 and he has collaborated with artists ranging from John Latham, Bob Cobbing, Carlyle Reedy and Ivor Cutler to Rie Nakajima, Evan Parker, Max Eastley and Akio Suzuki. He has recently completed part one of Into the Maelstrom: Music, Improvisation and the Dream of Freedom, a two-volume work on free improvisation. Exhibitions and events he has curated include Music/Context Festival of Environmental Music for the LMC (1978), Sonic Boom for the Hayward Gallery (2000), sound curation for Radical Fashion at the V&A (2000-2001), Playing John Cage at the Arnolfini (2005) and Blow Up at Flat Time House (2010). 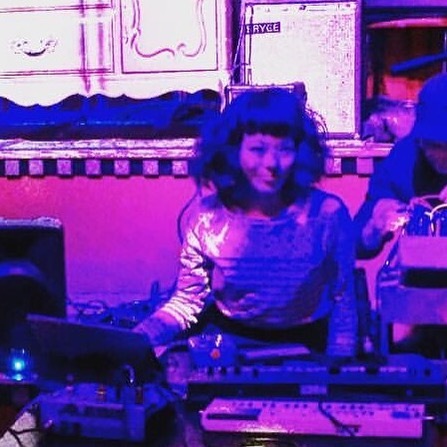 Tania Chen is an experimental musician and free improviser. She plays the piano, found objects, toys, keyboards and electronics. 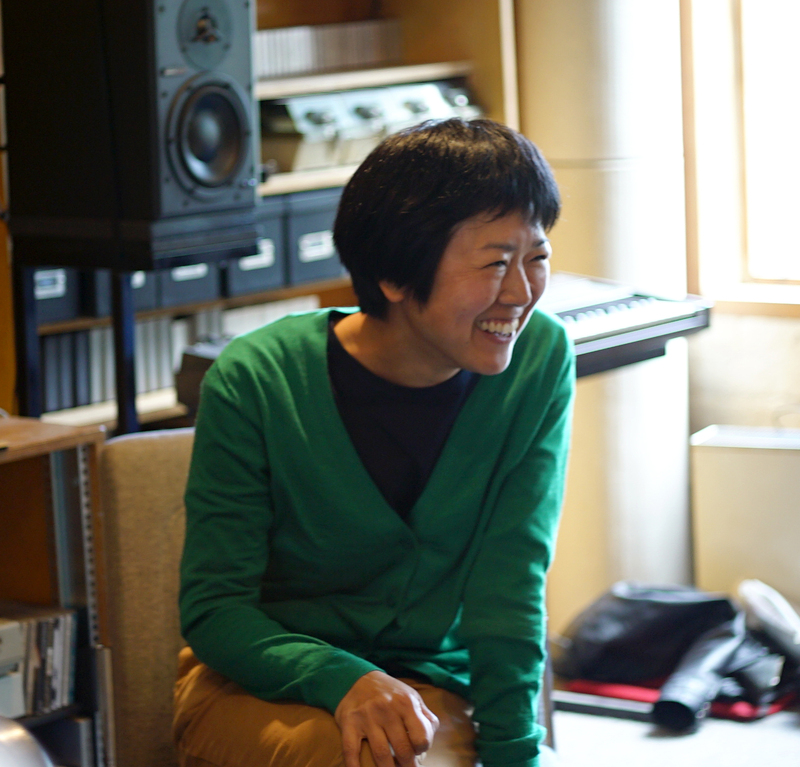 She is a leading interpreter of John Cage, Cornelius Cardew, and Morton Feldman. 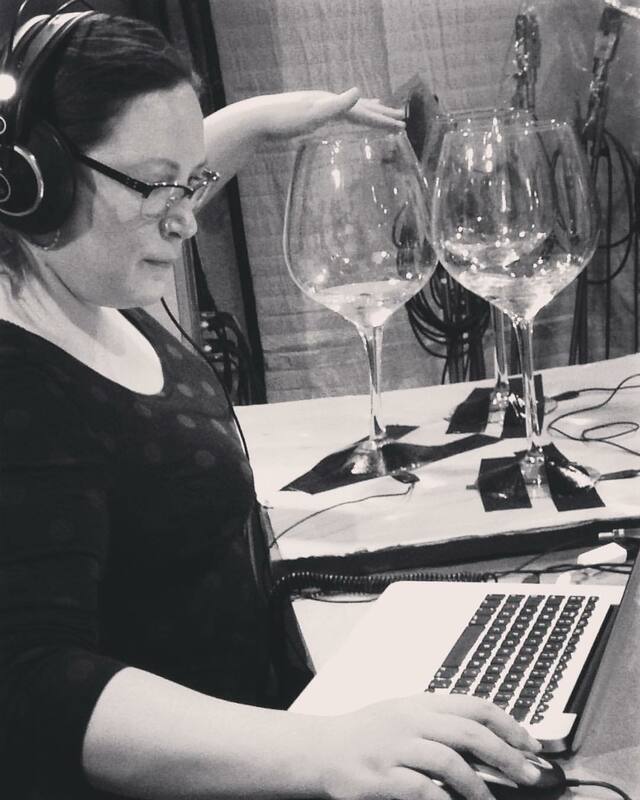 Tania creates video pieces and compositions that explore the role of performance and sound making. Forthcoming albums are: “Ocean of Storms” with Henry Kaiser, William Winant, Wadada Leo Smith & Tania Chen on piano, Andrew Poppy’s solo piano music, John Cage’s Electronic Music for Piano with Thurston Moore, David Toop & John Leidecker, and her experimental music album with Thurston Moore. 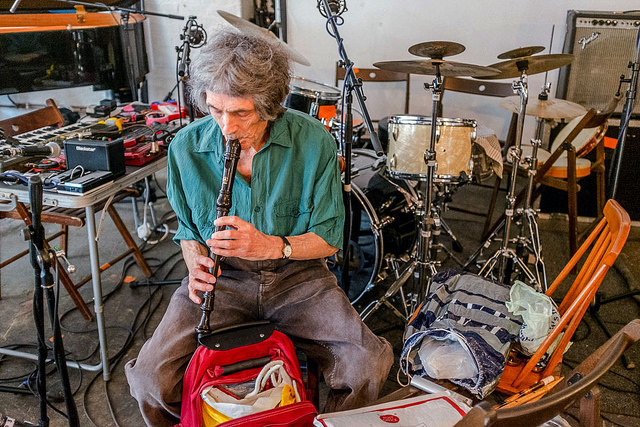 Maggie Nicols is a singer and a pioneer of free improvisation in the UK. 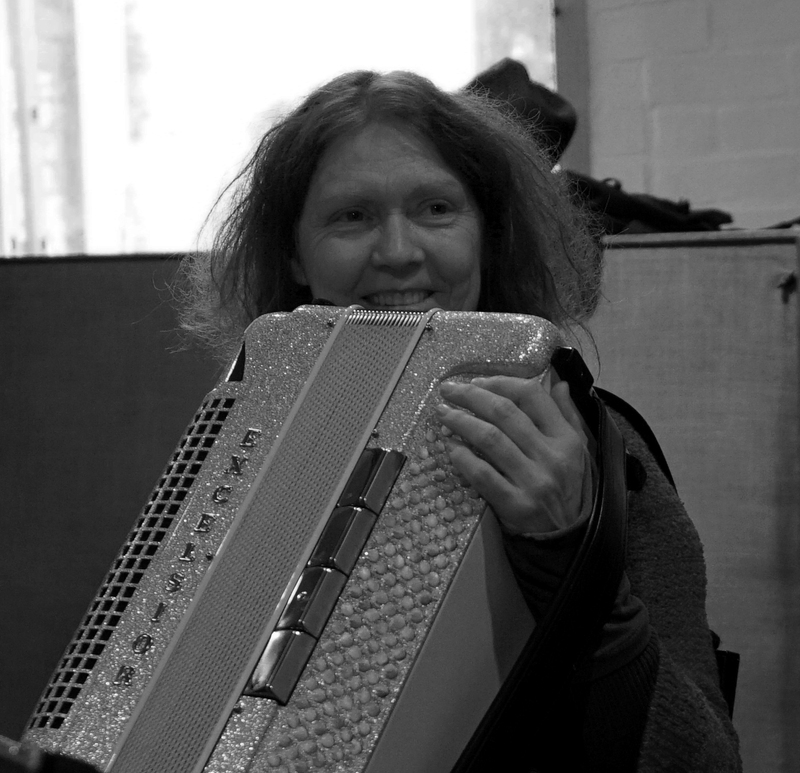 She joined London’s legendary Spontaneous Music Ensemble in 1968 and began running voice workshops, using the techniques of the SME’s John Stevens. She also worked in local experimental theatre. Later she was a member of the large ensemble Centipede, led by Keith Tippett . 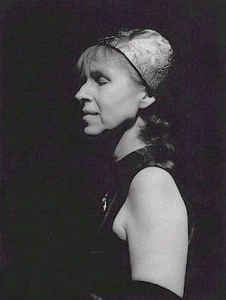 In 1977, with musician/composer Lindsay Cooper, she formed the remarkable Feminist Improvising Group. Maggie continues to perform worldwide and record challenging and beautiful work. When she is not performing solo she collaborates with a wide range of artists including Joëlle Leandre, Irene Schweizer and Phil Minton. 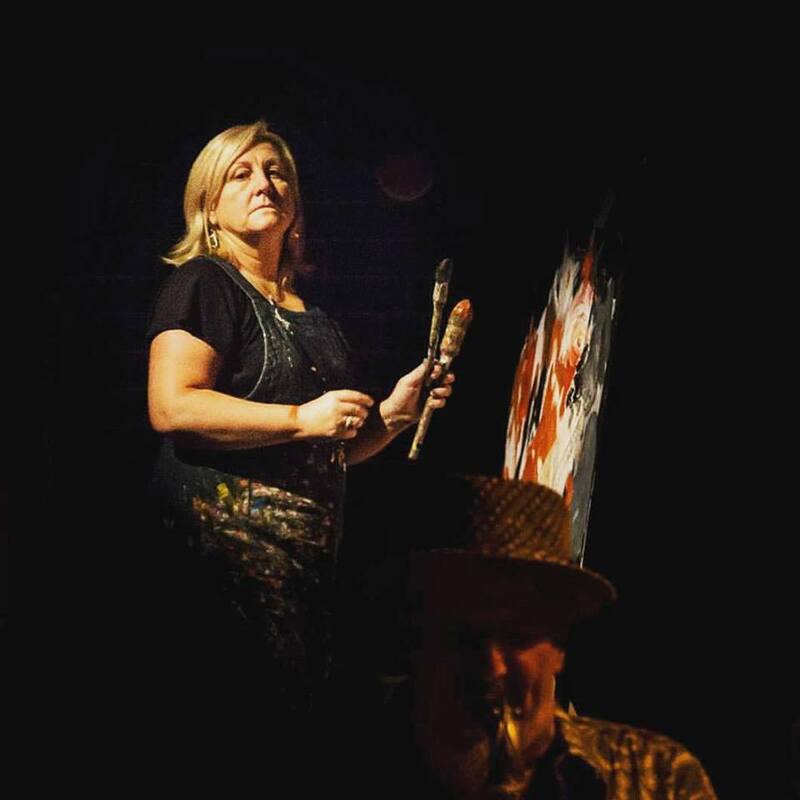 Gina Southgate is best known for painting/performing on the British jazz and free improv music scene where for 3 decades she has captured the frisson of live music during the real time of performance. She works in an international arena, at gigs and festivals, the resulting imagery is used in music graphics and for press purposes; site and stage decoration. 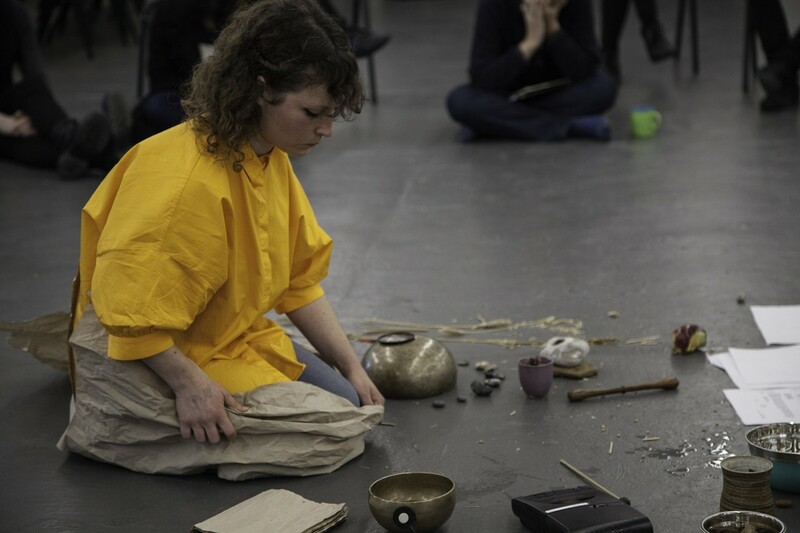 As well as live observational painting, she performs audio visually using her materials and tools in duo or group situations with improvising musicians. 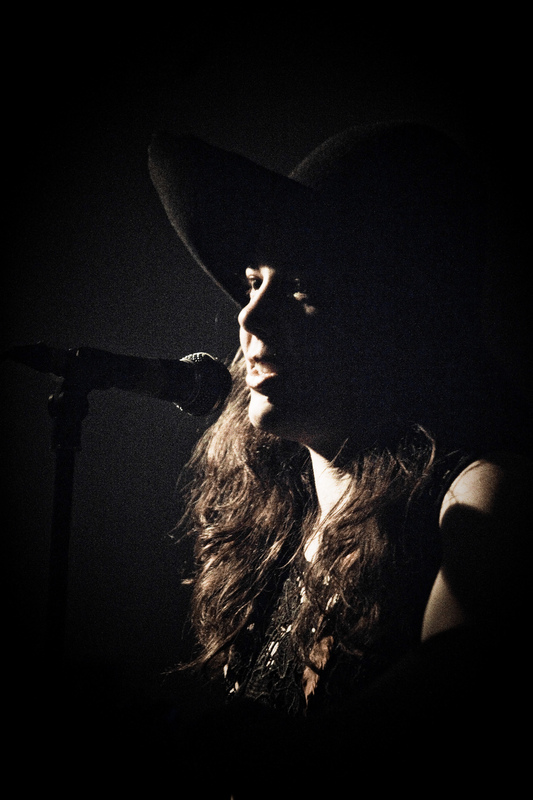 She has collaborated with, exhibited at, and been resident artist for; Somethin’else, Jazz on 3, Vortex Jazz, Jazz in the Round, Jazz north East, Gateshead International Jazz festival, In Harmony, Kings Place, Rich Mix, Alterations, Match and Fuse, Lume UK. In Europe at Jazzahead!, Germany and Konfrontationen Festival. Julie kjær’s edgy and thoughtful playing and ‘dark, otherworldly imagery’ (Jazzwise) has become increasingly evident around Europe, inhabiting ground between composition and free improv. Experimenting with extended techniques, sound and rhythm she pushes her instruments to their limits. She tours internationally with Norwegian drummer Paal Nilssen-Love and his Large Unit and she has toured internationally and recorded with Django Bates and StoRMChaser. 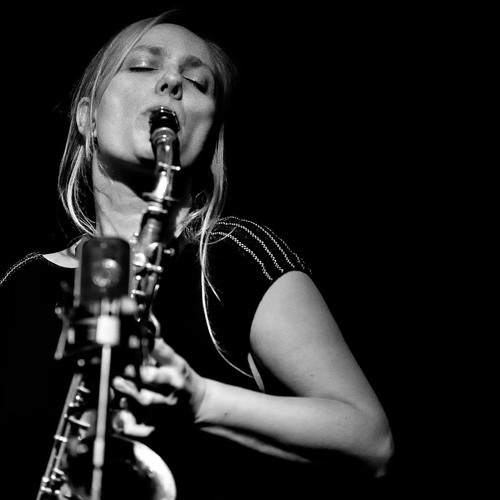 Currently her main focus is on her trio, Julie Kjær 3, with bass player John Edwards and drummer Steve Noble. Their debut album ‘Dobbeltgænger’ was released in 2016 on Clean Feed Records. Spring/summer ’17 they will tour Europe and Japan. 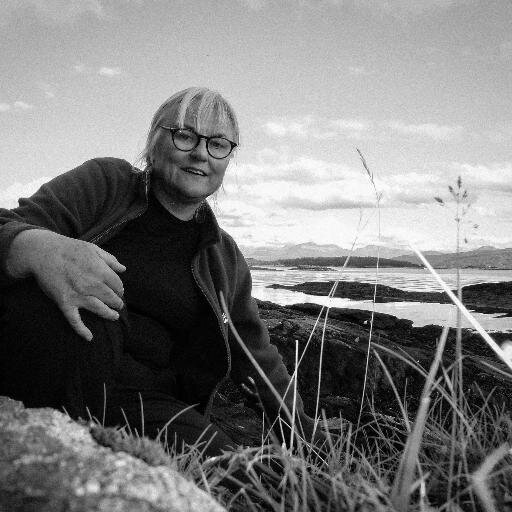 Helen Petts is an artist film-maker who explores rhythm, texture, sound and chance events, both in the landscape and in her long standing relationship with the free improvisation music community. A former television director of arts programmes, she now regularly shows her own art work at film and music festivals as well as in gallery installations. She studied Fine Art at Goldsmith’s College and Film at Westminster University. Her work is distributed by Lux Artists Moving Image. Blanca Regina is an artist, teacher and curator based in London who is currently involved in creating audiovisual performances, sound works, instalations and film. Her research and practice encompass sound art, free-improvisation, moving image, live events, electronic music and performance. In London, she co-funded with Steve Beresford and later Jack Goldstein ‘Strange Umbrellas’, a platform for free improvised music and visual art.She has performed with various artists, including Terry Day, Leafcutter John, Beresford and Matthias Kispert and curated a number of events and installations in London and internationally. Her last exhibition: ‘Expanded and Ephemera Audiovisual’ was presented at MUPO, Oaxaca, México in November 2015. Current works in development include the direction of Unpredictable a film about Terry Day and ‘Unpredictable series’ a series of exhibitions, talks and performances. Julie pickard is an artist & writer based in london, UK. Her visual work includes paintings, sculptures, drawings and text pieces. Poulomi Desai’s unique, modified sitar embraces elements of chance, challenge and subversion – industrial, noise influenced improvised, art performances. 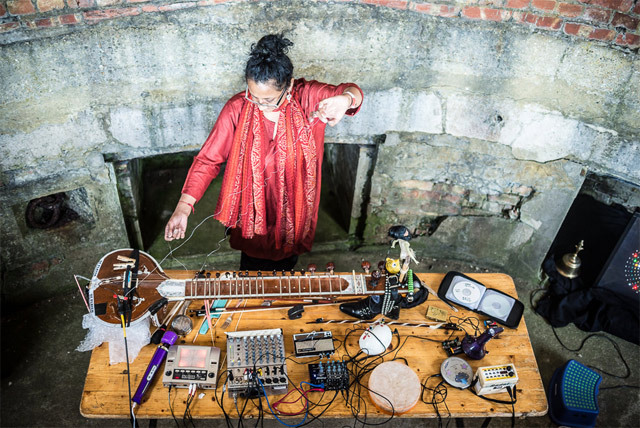 Her prepared / bowed sitar is extended with modified cassette decks playing her field recordings, circuit bent toys, optikinetic instruments, kitchen knives, axes and massage tools. It is a conscious response and reaction to the idea of ‘authenticity’ seeking to break the rules and expectations of how a ‘sacred’ instrument should be played, the strictures upon the player, the guru-shishya approach, and the assumptions made upon the identity of the player herself. Her sitar is the primary basis for sonic improvisation and exploration; an allegorical antidote to the objectification of the ‘South Asian woman’s body’ in ‘Bollywood’ cinema / ‘popular culture’ and, in a broader sense, affirming her idea of ‘Noise’ as protest. She runs the Usurp Art space in Harrow, London. Mandhira is a versatile violinist performing as a soloist, chamber musician and orchestral violinist in the UK and abroad. She is a founding member and the leader of the Ligeti Quartet. Her repertoire is varied consisting of standard classical works as well as free improvisation and original projects often involving collaborations with contemporary composers, sound artists and musicians from a variety of genres outside classical music. With her quartet she has worked with Wadada Leo Smith, Meilyr Jones, Shabaka Hutchings, Laura Jurd, Kerry Andrew, Sean Noonan, and, following a tour to China and Hong Kong, has collaborated with leading Hong Kong DJ Choi Sai Ho and Japanese sound artist mamoru. Helen Frosi is a London-based artist researching into the cultural, social, and political aspects of sound and listening. She is co-founder and current director of SoundFjord, a nomadic gallery and research unit dedicated to practices highlighting the sonic within contemporary art and hybrid disciplinary practices. In addition to her work at SoundFjord, Helen has curated programmes for Café OTO, CRiSAP, Dragonfly Festival (SE), Galerie8, Gorey Arts & Film Festival (IE), GV Gallery, ICA, Museum of London Docklands, Oboro (CA), Octopus Collective, PVA MediaLab, The Pigeon Wing, V22 and Victoria and Albert Museum amongst others.